"The true essence of the Five of Spades is to be present and they carry the archetypes of the child, the traveler, and the scientist. Many have given a great portion of their energy to causes, protests, and social movements. 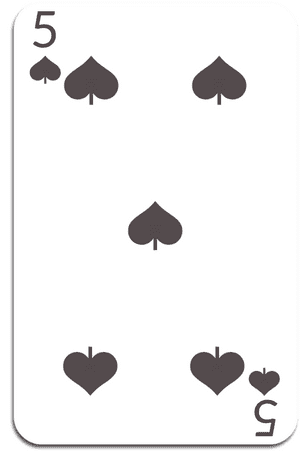 Since the Five of Spades is THE card of change, it is often they seek on a large scale. For some reason, they identify with..."